While Baz Luhrmanna��s award-winning Moulin Rouge! is getting the nod for a theatre adaptation, our attention is on another musicala��part one of the first season of The Get Down, a Netflix original series, which is on air. Created by Luhrmann (53) and Stephen Adly Guirgis (50), the musical drama is set in the Bronx (NYC) in the 1970s and revolves around the rise of the hip-hop genre, with a group of African-American teenagers in focus. Part two is scheduled for an early 2017 premiere. 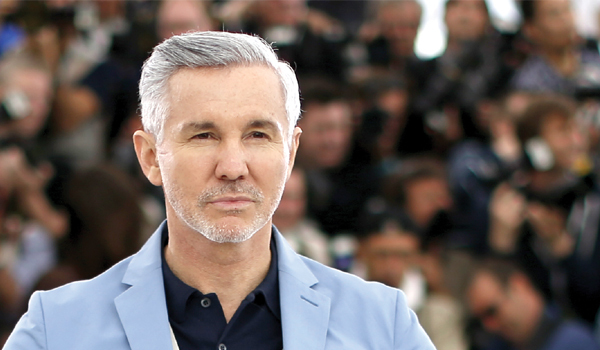 The Great Gatsby director, Luhrmann, talks about this journey of freedom and individuality. Why did it take 10 years to make The Get Down? And why did you choose Netflix for this series? It was 10 years ago, when I was sitting in a restaurant in Paris and looking over the shoulder of someone, that I saw a framed photograph, which was by (photographer) Jamel Shabazz, of these two kids. And they were in hip-hop stance, and it was from what I thought was the 80s. I remember thinking in that moment, a�?how did so much creativity come from New York in that moment in time?a�� It just stuck in my mind. And from that point on, I started trying to answer that question. I always wanted to do a piece like that, and I tried many times to find the right person. Then when Netflix came along, they offered the opportunity, this incredible canvas. The first three episodes takes place entirely in the Bronx. One thing that became very clear to everyone we worked with is that there was a feeling at the time of a�?Look at the South Bronx. Look how degenerated it is. Look at how negative it is.a�� Of course there was crime and drugs, and it was a very difficult time. But, overwhelmingly, everyone I worked with said, a�?From our point of view, we only saw possibility and imagination.a�� The number one thing they were worried about was that I would come in and do an outsider-looking-in show. But the number one line that had to be drawn was that it had to be from the kidsa�� point of view. I wanted to make sure we pay respect to all those young people who wanted to say a�?I exista��. One of the great things was when I reached out about the story, I went to Jimmy Smits. He really helped me, but also led our youthful acting team in charge ahead and giving the exhausting commitment that was required.